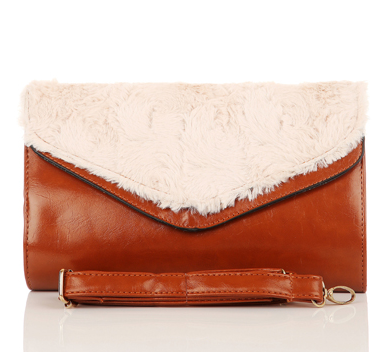 Faux Fur Twin Flap Bag For £17.99! This is a great bag – looks great in day casual or turn it into a clutch for an evening out . BEIGE – Owl Printing Cross Body Satchel Messenger Bag.. WHITE! PVC Skull & Rose Printed Satchel For £16.99!